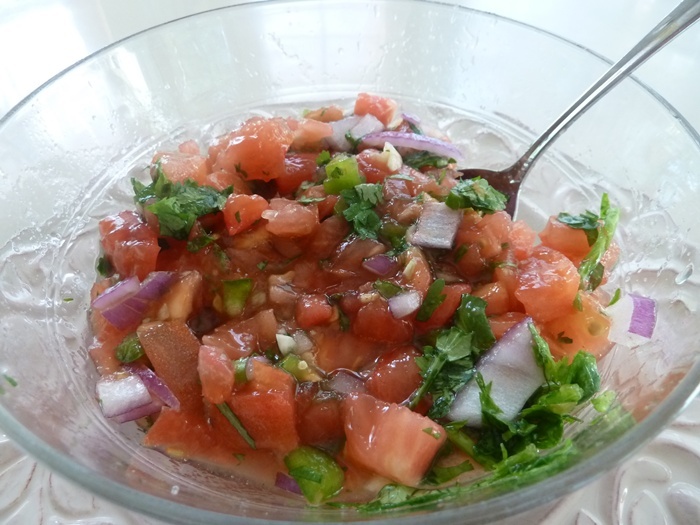 There’s nothing as delicious as freshly-made pico de gallo. 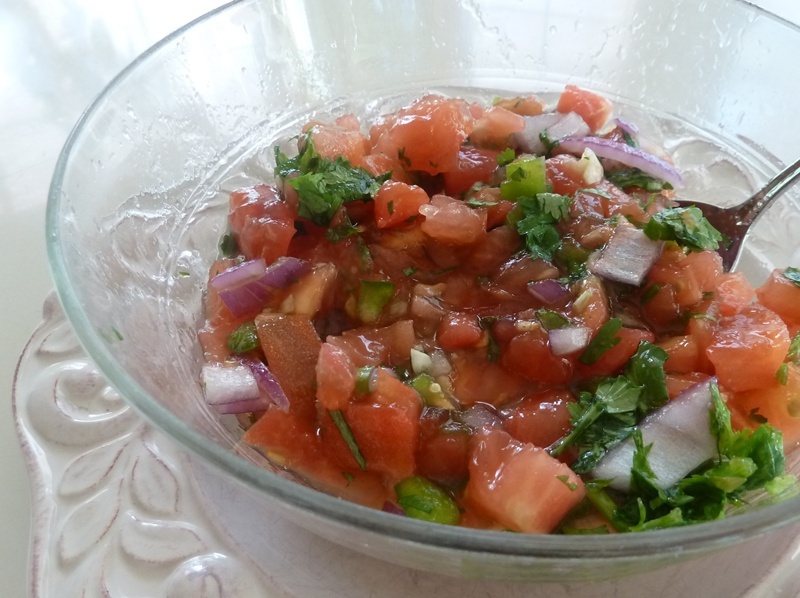 Plump, juicy tomatoes mixed with fragrant cilantro, spicy jalapenos, garlic and red onions. Finished off with a fresh burst of lime juice. Can you almost taste it? This is another one of those things, that, through trial and error, I finally came up with something that’s a keeper. Enjoy. 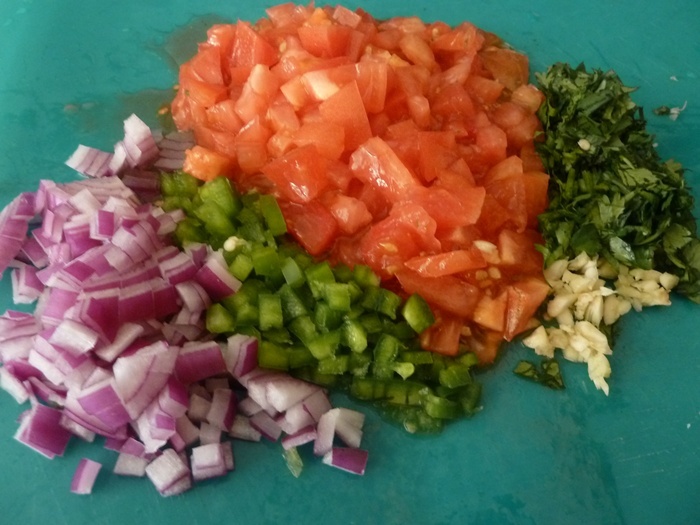 Prepare all of the ingredients as mentioned above, place in a serving bowl, chill and serve. Goes lovely with fajitas, over fish or just munching with chips and a nice cold beer or margarita. This entry was posted on November 13, 2010 by Maryann Romantini. It was filed under Sauces, Sides, Vegetables and was tagged with Black pepper, Coriander, garlic, Jalapeño, Lime juice, Pico de gallo, Red onion, tomato.